Vring is not showing up with the new board, it does show with Z87X-UD5H. Also, what is "AVCC3" listing actually showing? Please use the latest Beta version available (v4.39-2205). I'm also currently working on improving monitoring of these series, since it's not yet absolutely clear and there are discrepancies between the BIOS, GIGABYTE SIV tool and multimeter reading. So it's likely, that the next build might display some values different. AVCC3 should be the internal sensor +3.3 voltage. (05-18-2014, 07:09 PM)Martin Wrote: Please use the latest Beta version available (v4.39-2205). OK, yes I'm using the latest beta. For some reason even the Gigabyte SIV is not showing VRING either. No, still no VRING. Might be something Gigabyte needs to fix. Maybe only the OC series can monitor VRING. You could attach a screenshot of the sensors window, or even better the HWiNFO Debug File for a more detailed analysis. 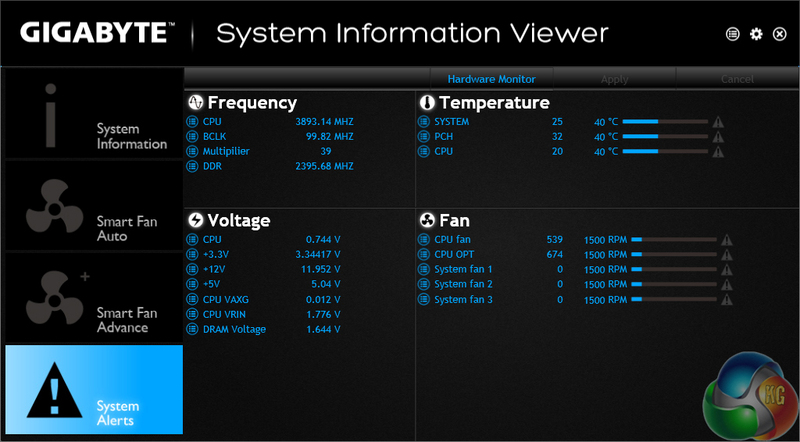 In Gigabyte SIV NO VRING monitoring. In Gigabyte EasyTune have... for voltage setting....also GTL as well. This is only...so far more detailed UD5H review.